The US Federal Reserve at its March meeting said it would be patient in changing policy rates. The move comes in the backdrop of global economic concerns and muted inflationary pressures. More importantly, it has given a temporal definition of patience. Financial projections suggest that there would not be a rate hike this year. Further, balance sheet unwinding would halt by September, after the process itself slows down from May. Chairman Jerome Powell stipulated that the Fed policy rate is already in neutral rate range i.e. policy rate is at level where it neither stimulates nor restrains economic growth by changing its interest rate policy. Compared to December 2018, there has been a sharp downward shift in the projections for the Federal funds rate. Policy rate projection for 2019 is now 2.4 percent (current policy rate range: 2.25-2.5 percent), which is a 50 bps (100 bps=1 percentage point) downward shift in three months. Simply put, this implies there is no rate hike expectation this year. The median expectation for 2020 and 2021 stands at 2.6 percent, which implies a solo rate hike in this interest rate cycle. Interestingly, at its December meeting, two out of 17 members had projected no rate hike in 2019. Now, 11 members anticipate no rate hike. The central bank observes that economic activity has slowed from Q4 CY18 in terms of growth moderation in household spending and business fixed investment in Q1 CY19. GDP growth for 2019 is expected to be 2.1 percent as against 2.3 percent earlier. Having said that, the labour market remains strong. Headline inflation has declined largely on account of lower energy prices. However, inflation numbers excluding food and energy remains near its targeted level of two percent. Interestingly, there has been increasing deliberation around its stance of balance sheet unwinding for at least the last three meetings. With this meeting, its stance has officially changed from an autopilot unwinding of the balance sheet to one where it would halt by September. 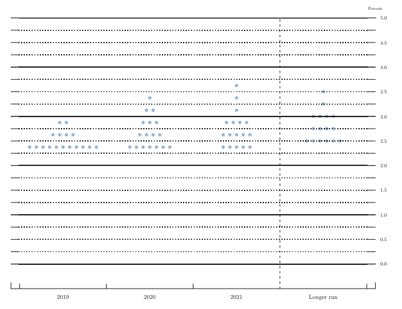 This means the Fed would keep its balance sheet size at elevated levels compared to earlier monetary policy cycles. By revising the unwinding run-rate, it expects its balance sheet to stabilise around $3.7 trillion. One, the downward shift in policy rate expectation should not be seen as a sudden measure. The Fed had given enough indications of that happening though their qualitative assessments and commentary in the last three months. Two, lower domestic growth expectation is also a reflection of lesser growth estimations from other parts of the world, especially eurozone and China. It’s noteworthy that the International Monetary Fund (IMF) downgraded its global growth forecast earlier this year, followed by weaker regional growth assessments by European Central Bank (ECB) and China. Third, it means that the ‘pause’ in the rate hike cycle has now a temporal definition – the rate hike may not happen in 2019. The moot question is – does the market as well think so? CME Fedwatch tool indicates that the probability for a rate cut in 2019 has increased to 29 percent from 14 percent a month before. Powell statement — “The data are not currently sending a signal that we need to move in one direction or another ” — doesn’t rule out this possibility. Nevertheless, the scenario of “growth moderation, but an accommodative central banks” continues to be positive for emerging markets. The Dollar Index has slumped after the Fed announcement. The US 10-year yield has broken important support levels and is in a range last witnessed in December 2017. We may witness extension of the current phase of carry trade, wherein countries like India benefit. This implies relatively stable growth versus other parts of the world like eurozone and China. Having said that, investors should continue to keep a close watch on developments in China, US-China trade talks and Brexit. 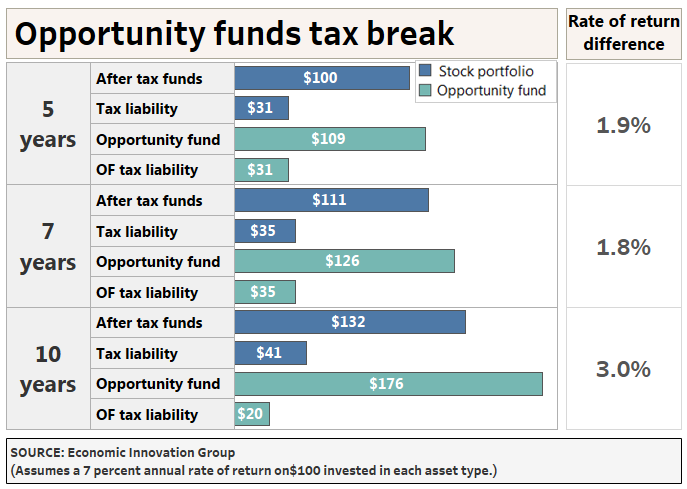 If any one of these factors worsen, it can interrupt the recent EM fund flow party. This entry was posted in Bank Stocks on March 24, 2019 by admin.